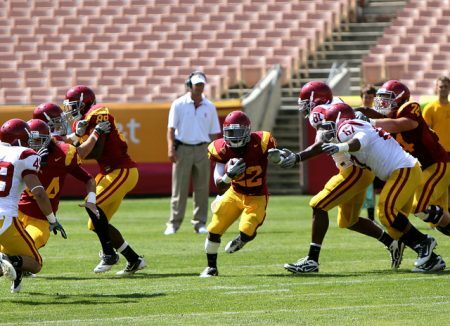 Can your 4-2-5 Defense defend Wishbone Option Offenses? Even if you don’t see it, you better be able to! Can your base defense the Wishbone Option? Maybe you’ve got a team who runs this offense on your schedule. Or someone who might show up in just about any offense. Even if neither of those are true… your base defense better to be able to defend every style of option there is. And luckily, it can. As long as you’re running a sound defense. In this episode we’ll break down how to defend the Wishbone Option with your 4-2-5 Defense. We look at the umbrella principle and how it applies here. To learn more check out http://425defense.com/podcast.